Claudio spends most of his time providing technical counsel in patent litigation in the pharmaceutical field. He represents big pharma originator and fine chemistry companies in infringement and nullity proceedings before Italian and foreign courts. In many cases, this involves working on several parallel national and transborder proceedings at once as well as maintaining strong coordination with foreign law firms. As a member of SIB’s Nano Bio Team, Claudio is involved in drafting, filing and prosecuting patent applications concerning new technologies in the nanotechnology platform. He also advises on patents for pharma, biotech and glass technology inventions. He performs freedom to operate and portfolio analyses in view of acquisitions and mergers of biotech and pharma companies. Claudio’s clients include primary multinational pharma and chemical companies, Italian and foreign public research institutions, Italian and foreign SMEs developing classic and high-tech medicaments in the fields of biotechnology and nanotechnology. Before joining SIB’s Rome office in 2001, Claudio spent over 20 years with the European Patent Office in Munich, first as a biotechnology examiner and later as a member of the board of appeal competent for pharmaceuticals. He acted as rapporteur or chairman in more than 100 decisions on key points of law such as interpretation of a medicament’s second therapeutic application, definition of and interaction between medical and non-medical treatments, limit of a reach-through claim, meaning of a functional claim, applicability of non-supported disclaimers, anticipating effect of speculative prior art, and many others. Claudio is enrolled with the Register of Court-Appointed Experts on Industrial Property of the Court of Rome, which is the Italian Court with the largest specialised IP section. Claudio contributes regularly to major national and international specialised journals such as the Max Planck Institute’s IIC International Review of Intellectual Property and Competition Law, EPI Information, Bioprocessing & Biopartnering, Il Diritto Industriale and Nanotech IT, on subjects including European patent law and IP protection with regard to ground-breaking technologies. He has authored articles on the patentability of biotech inventions and of embryonic stem cells, on the interpretation of the patentability requirements for nanotech inventions, on disclaimers and double patenting. He has published commentaries on national and European Patent Office decisions, as well as on Italian biotech law. He is frequently invited to lecture on patent issues in the fields of chemistry, biotechnology or nanotechnology. Technical counsel in patent litigation. Italian and European patents in the field of pharmaceutical chemistry, biotechnology, nantechnology and glass technology. Opposition and appeal procedures before EPO. Freedom to operate and portfolio analyses. 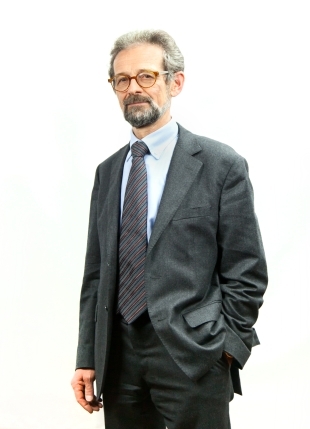 Member of the Ordine dei Consulenti in Proprietà Industriale (Italian Industrial Property Consultants Institute), of the Collegio dei Consulenti in Proprietà Industriale (Italian section of FICPI), of the Institute of Professional Representatives before the European Patent Office, AIPPI, FICPI (Biotechnology Committee); enrolled with the Register of Court-Appointed Experts on Industrial Property of the Court of Rome. Euromoney Guide to the World’s Leading Patent Law Practitioners 2009-2013. Five-year degree in Pharmaceutical Chemistry and Technology, University of Milan.